Change is in the air for the Owls of Florida Atlantic University. Over the past week, FAU Athletics has taken a turn and a profound leap in what we hope will be the right direction! Athletic Director, Craig Angelos, will not be returning to FAU next year, with FAU hoping to bring in a new face to the Athletics Dept. and a passionate voice for the Owls. While Craig has helped move FAU up to Division 1A and witnessed many great victories in his time as AD, the potential for FAU is outstanding and it is apparent that the Administration is seeking something different for the coming years. In searching for a new AD, we can only hope that a few factors are looked at that some might say have been missing in the passed few years, that is passion for FAU sports and national/local marketing of the FAU teams. While FAU has surpassed some of its struggles over the years with regards to the student fan base, students are finally beginning to embrace their University and are proud to call them self an Owl. This is something that took much time and hard work to get the students to Rally behind the team. 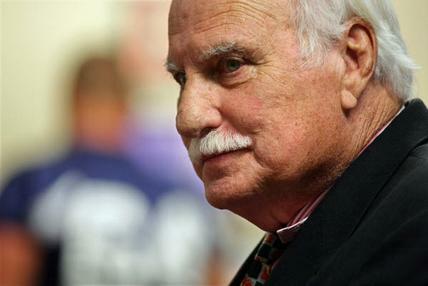 With Coach Howard Schnellenberger ending his coaching career last year, he is now an Ambassador for the University and is looking to take his Owl passion to the Student Body by creating an army of students to promote school pride and spread the passion throughout the entire student population. This will be further discussed in upcoming posts, but it will definitely be something to look forward to considering everything Coach has led has risen to be something great and contagious to his followers. 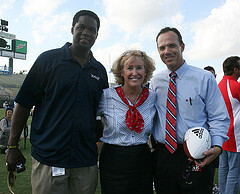 FAU's struggle to market to the surrounding community is another aspect that should be considered in seeking a new AD. Gathering support from local fans is crucial in meeting ticket sale objectives and creating a buzz within the cities that FAU inhabits. This has always been a struggle for FAU; however, with FAU becoming very close to the dream of having banners on Glades Road, we'll have to see just how far the city will let us claim it as the Hometown of FAU!